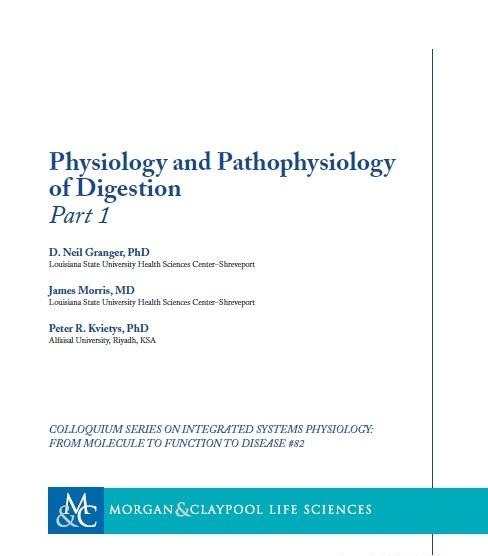 This collaboration of two physiologists and a gastroenterologist provides medical and graduate students, medical and surgical residents, and subspecialty fellows a comprehensive summary of digestive system physiology and addresses the pathophysiological processes that underlie some GI diseases. The textual approach proceeds by organ instead of the traditional organization followed by other GI textbooks. This approach lets the reader track the food bolus as it courses through the GI tract, learning on the way each organ's physiologic functions as the bolus directly or indirectly contacts it. The book is divided into three parts: 1) Chapters 1-3 include coverage of basic concepts that pertain to all (or most) organs of the digestive system, salivation, chewing, swallowing, and esophageal function, 2) Chapters 4-6 are focused on the major secretory organs (stomach, pancreas, liver) that assist in the assimilation of a meal, and 3) Chapters 7 and 8 address the motor, transport, and digestive functions of the small and large intestines. Each chapter includes its own pathophysiology and clinical correlation section that underscores the importance of the organ's normal function.